Upwards of 70% of Canadians are affected by hemorrhoids, and up until now there hasn't been an all-natural capsule that relieves the uncomfortable symptoms of hemorrhoids. 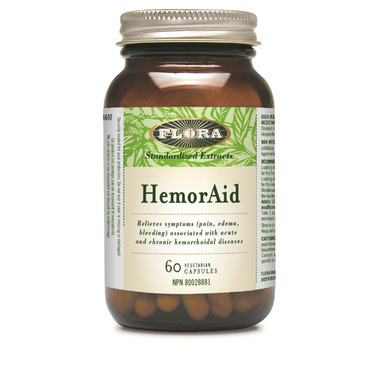 HemorAid is clinically-proven to relieve symptoms of hemorrhoids. Get the relief you need from a convenient and effective capsule. Take 1 capsule twice daily with meals. Use for a minimum of 2 months to see beneficial effects. Consult a health care practitioner prior to use if you are: 1) pregnant or breastfeeding 2) taking any prescription medications. Great product! So happy I finally found a product like this to treat persistent hemmroids. Give it a try! I suffer from chronic inflammation including hemeroides and this product is helping me so far have more comfortable BM's.